A Busy Weekend at Virtual Ability! 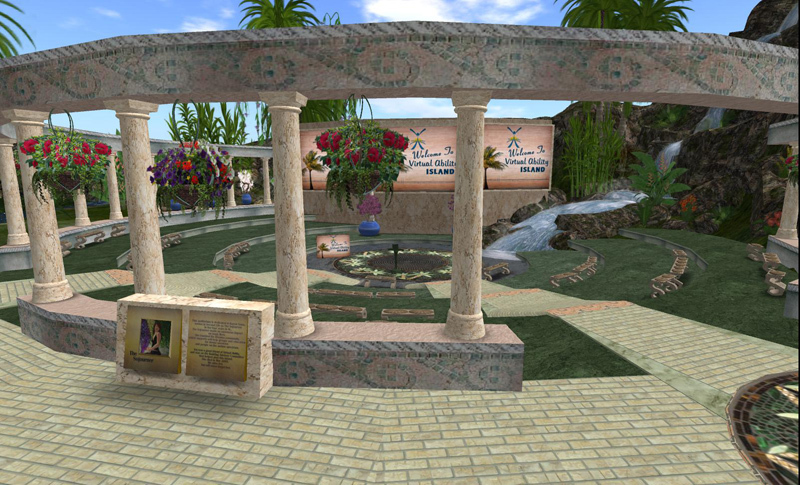 Two very different and fascinating events are taking place this weekend at Virtual Ability. Firstly, the otterly talented artist (and otter) Scottius Polke will be showing a fun new exhibit called Aessemblage, a collection of Aesop’s Fables, with whimsical, artistic illustrations designed by Scottius. Aessemblage is a real life book, and Scottius will be sharing the illustrations he did for it in the Cape Able Art Gallery. 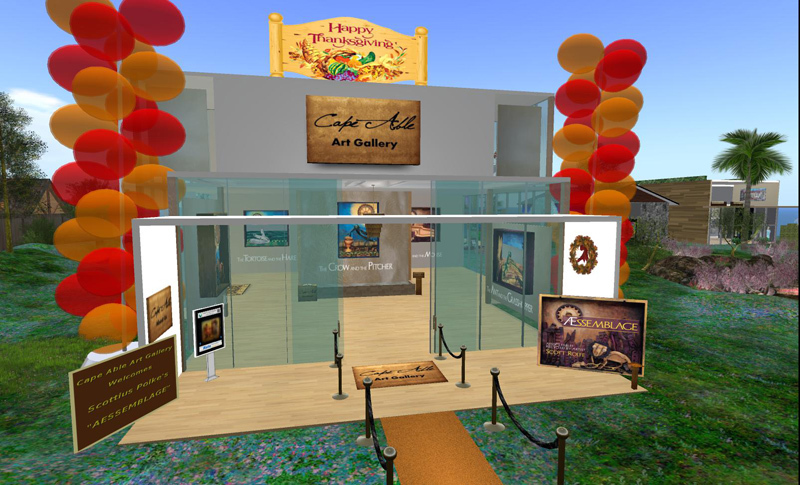 The show will be opening on Friday, November 16, 2012 at a grand opening gala scheduled from 5 pm to 7pm. The artist will be here, and there will also be a dance to celebrate the opening, expertly DJ’d by Suzzie Halsey-Zsun! Then, on Saturday 17th November at noon, there will be a presentation on Problem-Solving Strategies for Health Care: The importance of complex, fluctuating symptom patterns in the diagnosis and treatment of diseases, given by Kara Bennett, PhD (known as Dancers Yao in Second Life) at the Sojourner Auditorium on Virtual Ability Island. Illness that presents with nonlinear patterns may be more often misdiagnosed than those with a more linear course. Problem-solving strategies that include ways of representing information to help capture the stability and change of complex symptom patterns will be discussed. The strategies are based on the presenter’s research, as well as other health care practitioners who work with dynamical diseases, such as the neurologist, Dr. Oliver Sacks, and Dr. Susan Patrice, who recently died of cancer. Participants will learn ways of creating patient diaries and how to tell health care stories that offer the kind of information necessary to discover unusual patterns in illness. Ideas for how virtual worlds could play an important role in creating a new kind of health care story that will include the dynamics of disease, will be offered. The presentation is another in Virtual Ability’s distributed conference series “Waiting for the World to Change”. Next Post: November’s SUYS is très bon.